Next up we have MSI's GX60, which is powered by AMD's APU, the A10-4600M, backed up by an AMD Radeon HD 7970M GPU. Those specs not enough to get you revved up? How about the fact that the GX60 is EyeFinity-capable. 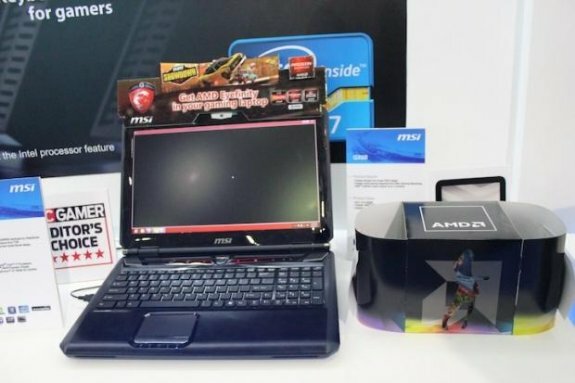 Yes, this notebook is compatible with the 3-screen tech from AMD, EyeFinity. Filling out the specs we have the same Super RAID as its brother above, as well as a Killer Gaming Network card.